When buying a new vehicle, most consumers will take out a loan in order to make the car more affordable. Recently, however, consumers have been taking out longer loans to have lower monthly payments. The problem is that taking out a five- or six-year loan may not be the best option because it doesn’t necessarily mean that that vehicle is a financially feasible option. A recent article in The Buffalo News mentioned how drivers are so concerned about lower monthly payments they are not taking the value of the car itself into consideration. Having low monthly payments is great for consumers but since cars are lasting longer, taking out a five- or six-year loan may mean that your finances can take a big hit when it comes to normal wear and tear on the car. What’s more, the interest rate buyers pay on longer term loans is also something to take into consideration. Though lower monthly payments may seem more attractive, the amount of interest rate you end up paying on a longer-term loan is not always worth it. Consumers should follow the 20/4/10 rule. Put down at least 20%, take out a loan no longer than 4 years and keep monthly cost of the car under 10% of total gross income. 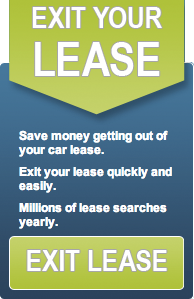 For those who choose not to purchase a car because they don’t want to be in the same vehicle for the term of their loan, Swapalease.com offers drivers the chance to take over the remainder of a lease. With no down payment required, taking over a car lease is the short-commitment you’re looking for. Because cars are lasting longer you might be stuck in your make and model for a few years but Swapalease.com offers you the chance to drive a different, newer car every few months. For drivers looking to get out of their lease early, listing it on Swapalese.com allows you to walk away with no hassle. So what are you waiting for?